In its ongoing efforts to deliver an overwhelmingly realistic experience, Sharp has utilized cutting-edge propriety technology for image quality, sound, and design. For 4K AQUOS TVs, Sharp sought to achieve an unsurpassed level of image quality—a level befitting the flagship model of the AQUOS brand. 4K demands a level of color reproduction that is equivalent to that found in digital cinemas and that exceeds the color gamut standard of terrestrial digital broadcasts (BT.709*1). 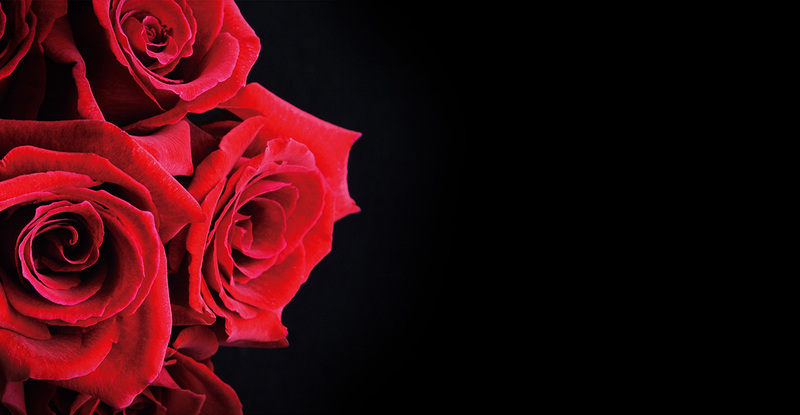 4K devices employ rich color technology to achieve uniquely realistic images with an expanded color gamut equivalent to that used in digital cinemas. Sharp’s color design philosophy is embodied here. Instead of using exaggerated colors to generate beautiful images, AQUOS depicts colors realistically, just as they are in nature. A new LED backlight helps to expand the color gamut, but this alone does not guarantee realistic color reproduction. 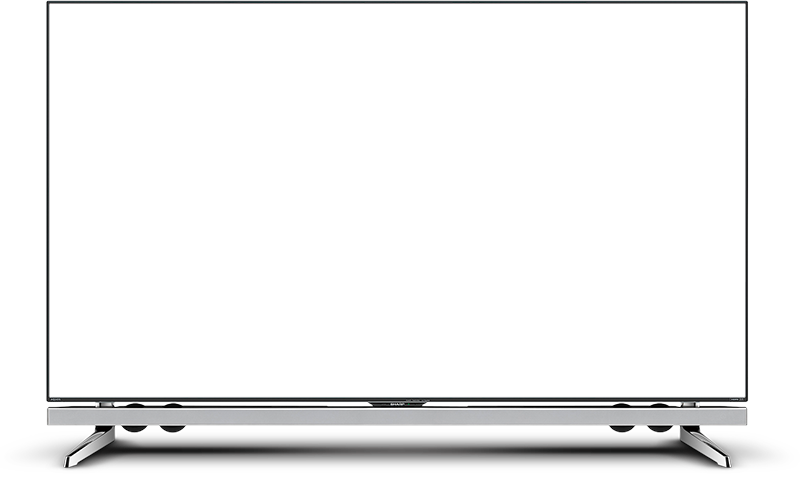 Sharp has continued to develop color reproduction technologies for colors that are difficult to reproduce for Full HD (2K) AQUOS models. Taking advantage of its accumulated technical know-how, Sharp strove to further improve the image quality of AQUOS through such measures as the adoption of a 4K low-reflection panel. The result was was an astonishingly realistic viewing experience on AQUOS 4K TVs*2. 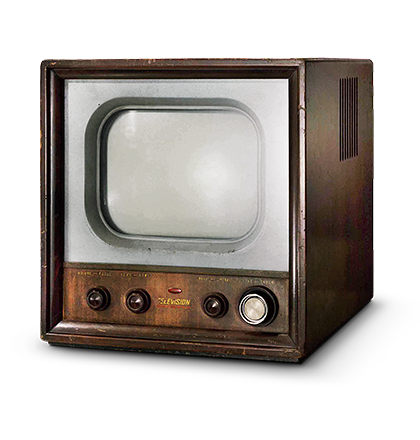 *1: An image signal format for digital broadcast (HDTV) standardized in 1990. *2: Rich color technology-equipped models (UD20 lineup / US20 lineup). Around the world, more than 2,000 cinemas boast a THX® logo that indicates they have achieved THX certification. This audio-visual reproduction standard certifies that images and sound are faithfully reproduced as intended by the content creator. To provide a viewing experience in the living room with the equivalent excitement and realism as a movie theater, Sharp has made efforts to acquire the THX 4K display standard*3 for high-end AQUOS 4K models—specifically, the UD20 lineup. 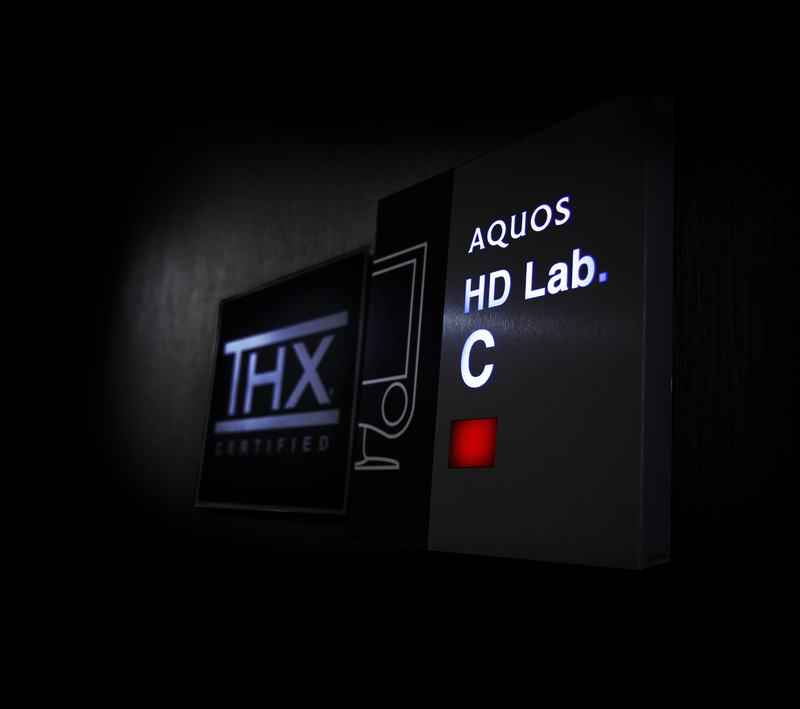 THX is an image quality standard recognized by Hollywood. 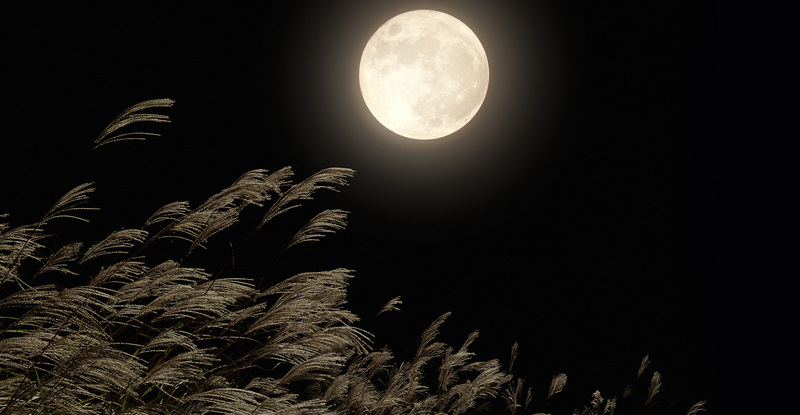 Among the performance parameters assessed are panel accuracy, video processing, and color reproduction. THX standards specify a range of criteria that are judged under a variety of conditions—for example, the brightness of the viewing environment and the movie content. This is why Sharp began by preparing a dedicated monitor room to reproduce the conditions of THX testing. In terms of panel performance, one of the key areas of assessment was in terms of achieving a uniform brightness from the center of the screen to the edges. Achieving the stringent standards of THX was no easy task. As well as remodeling the TV’s interior design, all parts were made as straight as possible to eliminate deformation. Through trial and error and countless tiny adjustments, Sharp found an optimal installation position for the backlight that enabled it to create uniform brightness. 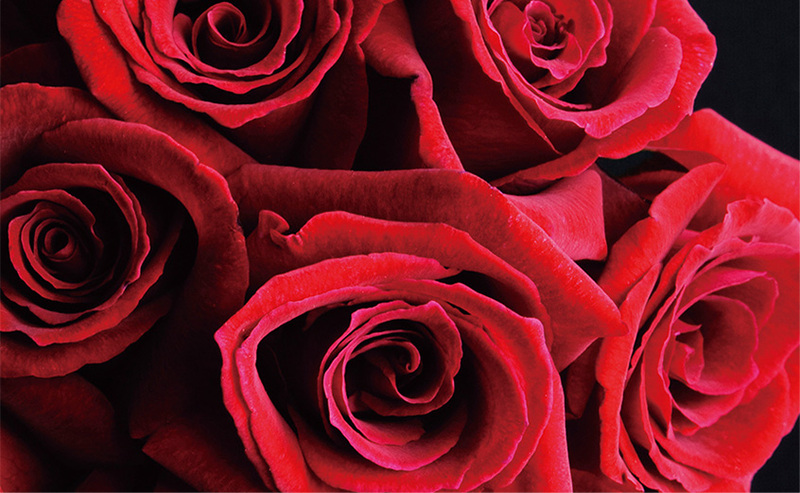 Regarding color accuracy, Sharp performed repeated tuning for each color using tens of thousands of data points. Adjustments were made not only during development, but also during the factory assembly of each unit. Numerous development efforts were carried out and—with the full-time assistance of a THX engineer—all of the more than 400 assessment items were cleared, one by one, over the course of more than a month. As a result, the UD20 lineup acquired the THX 4K display standard. 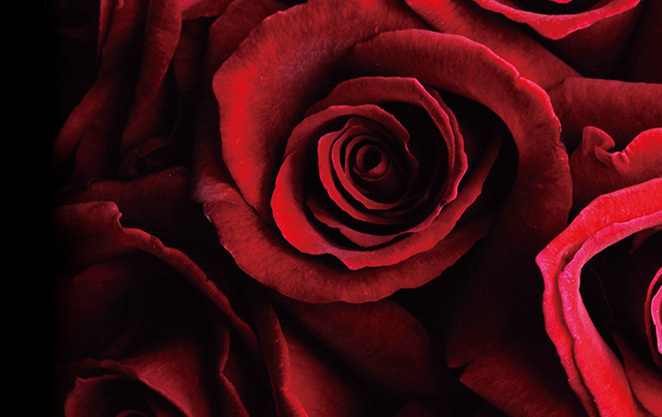 When watching movies in THX mode on an AQUOS 4K TV, hues and image quality—whether for soft sunlight, skin tones, skies, or sunsets—are reproduced naturally with excellent realism. Viewers can experience the same excitement as in a movie theater. *3：THX 4K Certification was obtained for a 2D image display. ● THX and the THX logo are trademarks of THX Ltd. THX and the THX logo are registered in the U.S. and other jurisdictions. All rights reserved.  As of November 2014, AQUOS 4K models are the only TVs on which consumers can enjoy high-definition 4K test broadcasts and 4K video distributed on a home network. In order to deliver the excitement of 4K images to the living room, Sharp had to tackle numerous challenges. 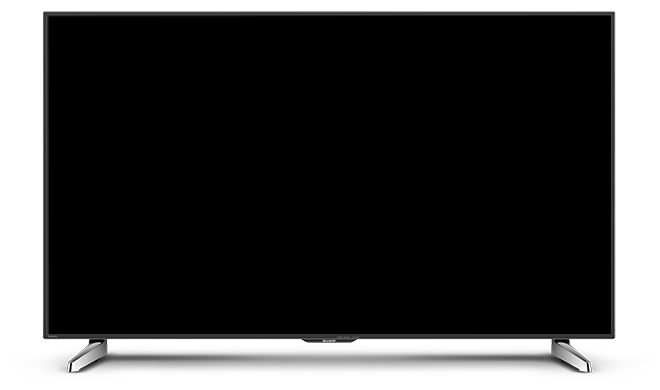 Sharp launched its first AQUOS 4K model, the UD1 series, in 2013. However, owing to a lack of infrastructure, the only 4K content available was still images, not video. 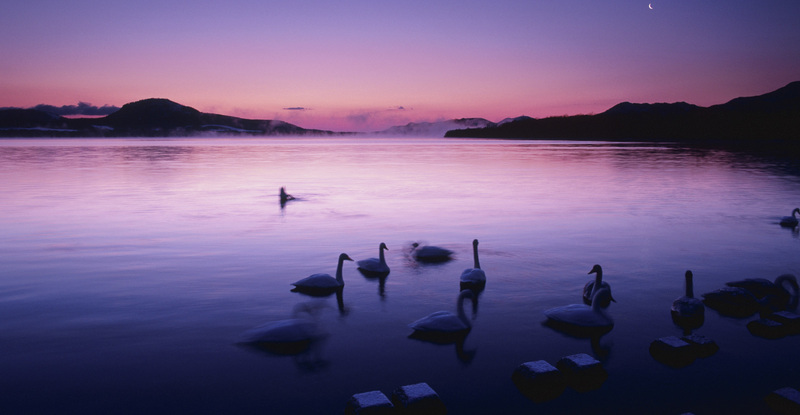 While these pictures were amazingly beautiful, Sharp wanted its customers to be able to enjoy 4K video images. 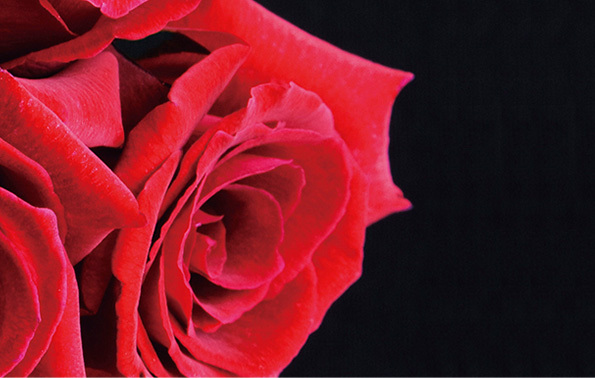 Deep within Sharp’s manufacturing DNA is the desire to create industry-leading, first-of-their-kind products. Hence, we sought to deliver to customers the world’s first 4K video viewing experience. 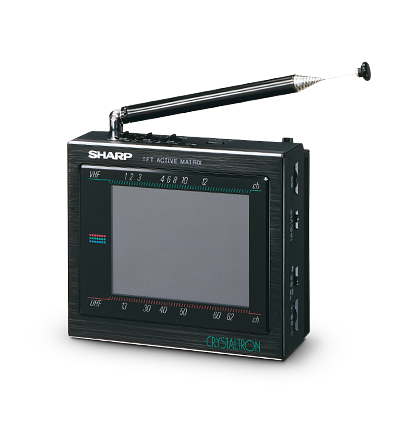 Sharp developers collaborated with its digital recorder section to rapidly develop the world’s first*4 4K digital recorder. 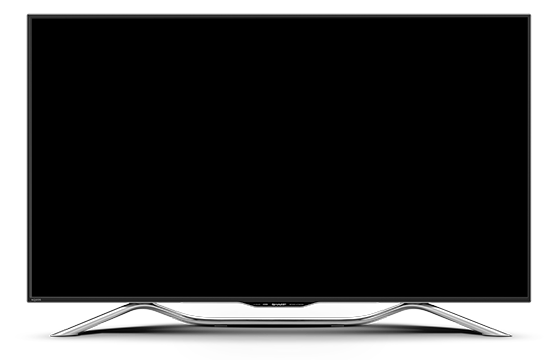 Designed to conform to 4K broadcast standards, AQUOS 4K TVs were equipped with a tuner to receive 4K test broadcasts. 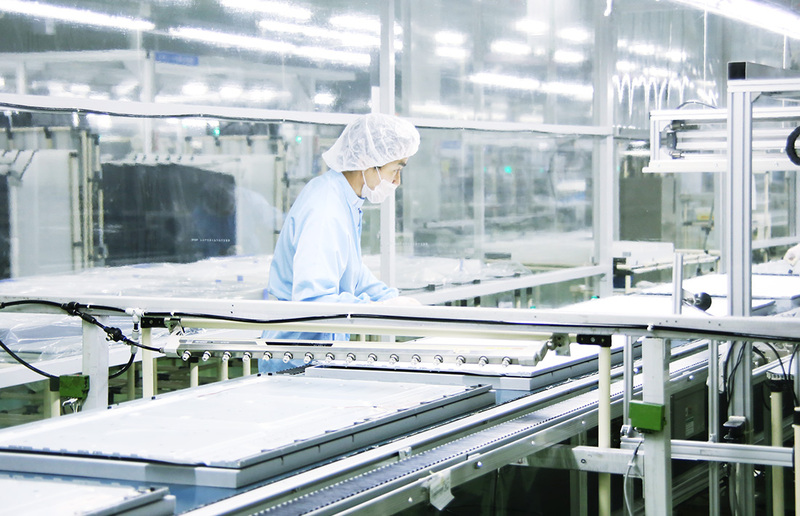 For Sharp to become the first manufacturer to develop such a product, all relevant departments had to work together closely and harmoniously to maximize their development capabilities. By rapidly complying with the 4K broadcast standards, Sharp was able to launch an AQUOS 4K recorder—the TU-UD1000—and UD20-series 4K-compatible LCD AQUOS TVs in time for the start of 4K test broadcasts on Channel 4K in June 2014. Full 4K broadcasting is scheduled to begin in March 2015 (on SKY Perfect JSAT). 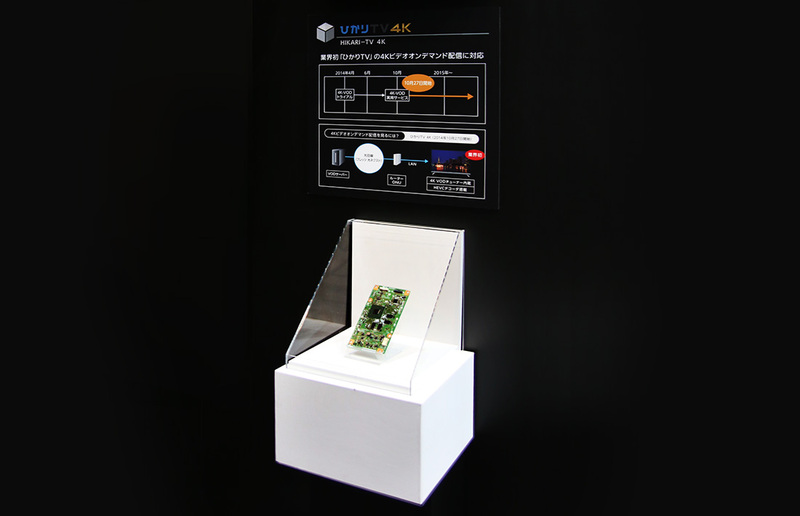 October 27, 2014, saw the launch of a wired version of 4K content distribution—the Hikari TV 4K video-on-demand (VOD) service provided by NTT Plala Inc. As Sharp had collaborated with NTT Plala Inc. from the development stages, it was able to commercialize the industry’s first*4 Hikari TV 4K compatible TVs (the UD20 series), which enabled customers to view these broadcasts from the very start*5. 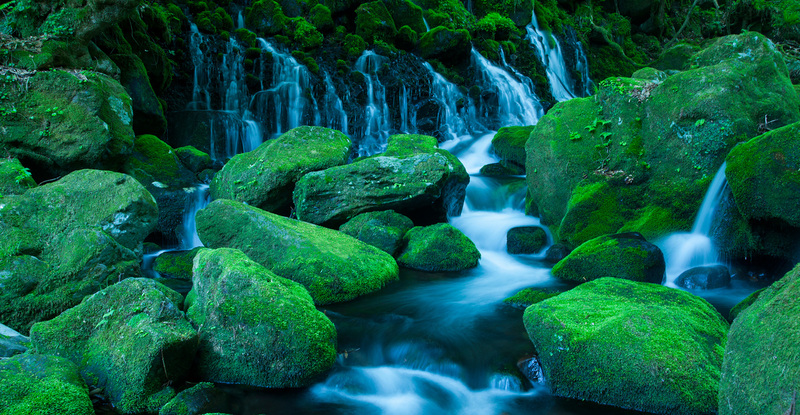 When customers sign up for both the FLET'S Hikari Next service and Hikari TV, they would be able to enjoy 4K images with AQUOS 4K alone, faster than any other service provider. *4：As of May 20, 2014. As a 4K recorder and as a 4K compatible TV. Sharp undertook numerous challenges to achieve a fusion of beautiful design and high-quality sound for AQUOS 4K TVs, the very finest AQUOS models. When viewing images on a UD20 series TV, customers experience an extraordinary feeling, as if the screen is floating before them. This is due to a visual effect whereby the table color is reflected by the mirror-finished surface of the stand, making the stand appear invisible. 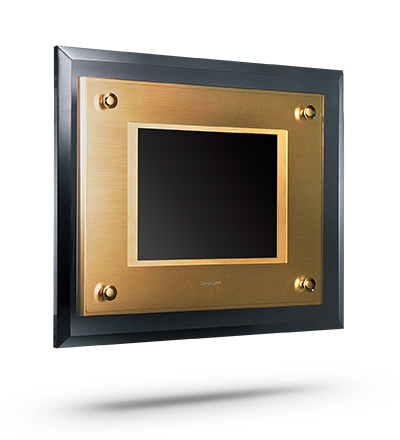 The design is not only stylish, it also blends in with the interior and enables customers to concentrate on the screen. 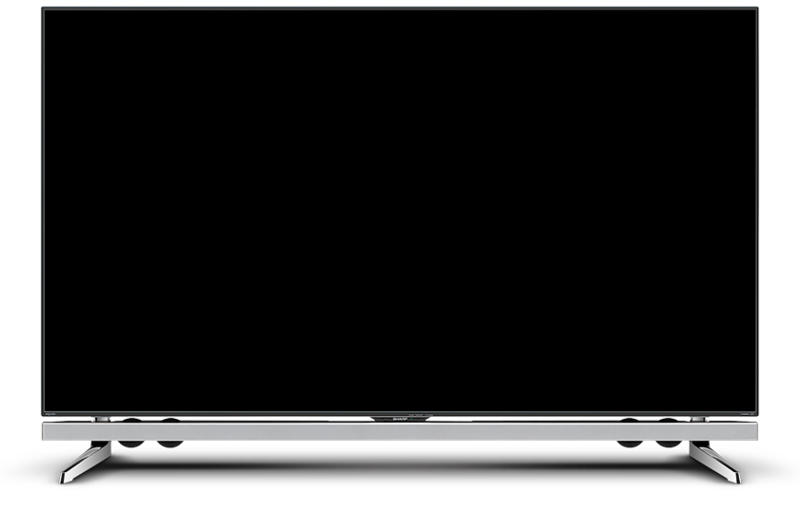 With “immersion in the screen” a design keyword, Sharp strove to minimize the bezel and make the screen stand as stylish yet unobtrusive as possible. By achieving a favorable balance with the frame —which is becoming increasingly narrow thanks to technical improvements—Sharp realized a design that allows the customer to focus more on the on-screen content. AQUOS 4K models, such as the UD20 series, deliver an acoustic performance befitting the high-quality 4K images on the screen. Sound quality was another area where Sharp strove to achieve peak performance. With the growing popularity of home theater systems, ever more customers are installing separate speaker systems such as sound bars. 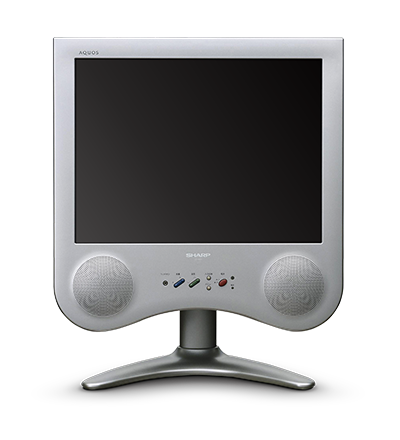 Nevertheless, Sharp sought to develop a TV that could by itself create an audio environment with realistic sound. Each AQUOS 4K UD20 series TV was therefore equipped with an eight-speaker system comprising 2.1-channel three-way speakers. Sharp considered very carefully how to install the speakers. In order to preserve the sense of a floating display—yet deliver powerful and high-quality sound—Sharp adopted a sound bar structure that would stand independently from the display unit. Furthermore, a subwoofer was installed in the rear of the display. One of these AQUOS TVs can, by itself, create an audio environment much like a home theater. Users can enjoy live musical performances and movies with a natural sense, as if the sounds were emanating from the entire screen. In order to achieve a higher level of image quality than the current best, Sharp has already begun developing 8K technology. 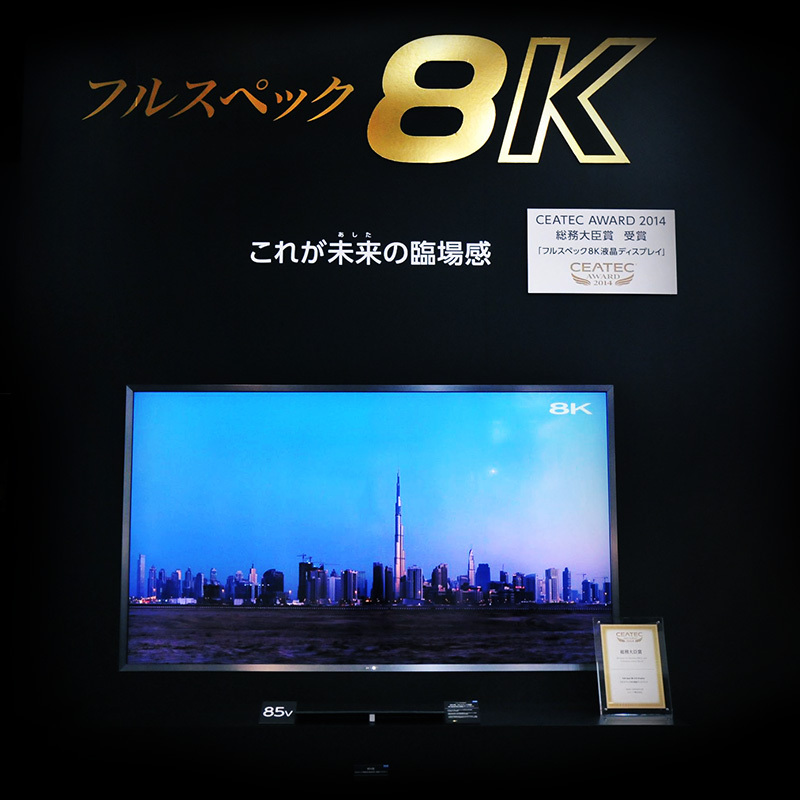 In October 2014, Sharp introduced its full-spec 8K LCD TV at CEATEC Japan 2014, Asia’s largest annual exhibition showcasing the latest in IT and electronics. 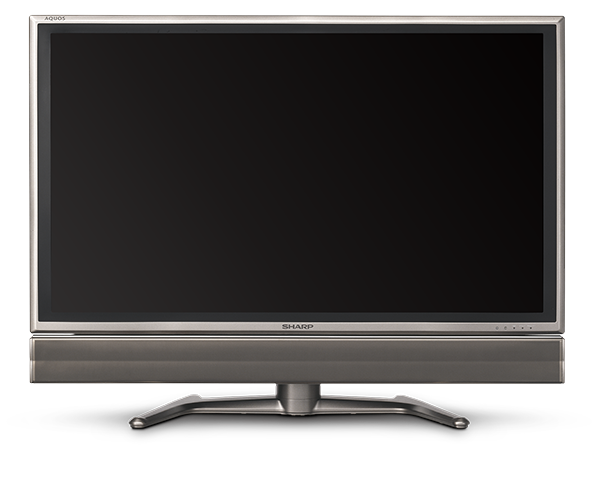 The Sharp TV received the Minister of Internal Affairs and Communications Award at the 2014 CEATEC Awards. 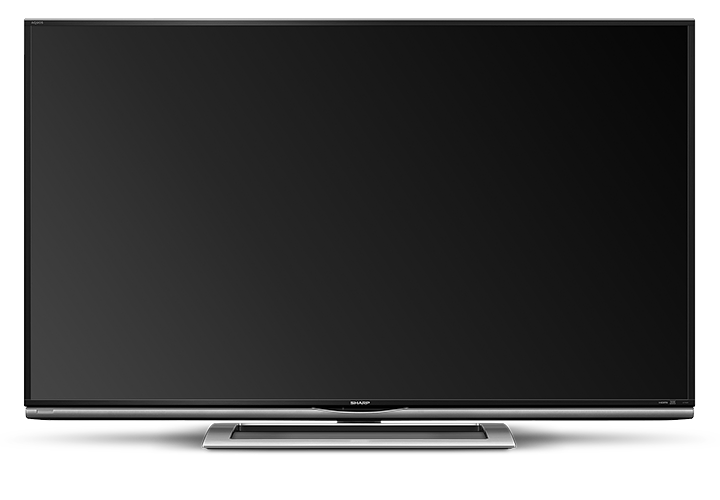 It is the world’s first*6 full-spec 8K LCD TV conforming to the 8K Super Hi-Vision specification. 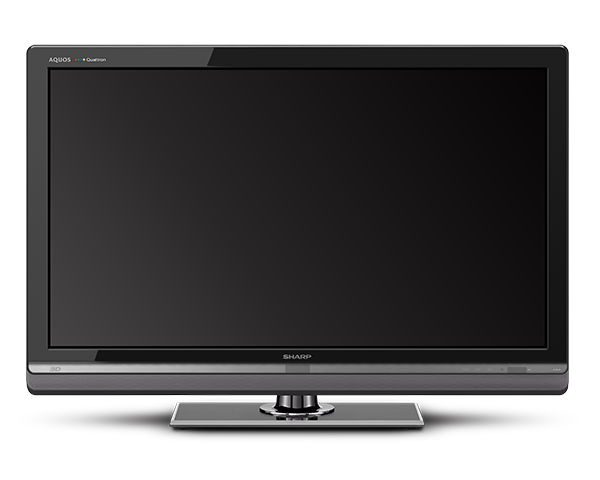 In May 2011, Sharp and the Japan Broadcasting Corporation (NHK) developed the world’s first*7 85-inch LCD TV*8 compatible with 8K Super Hi-Vision broadcasting content. 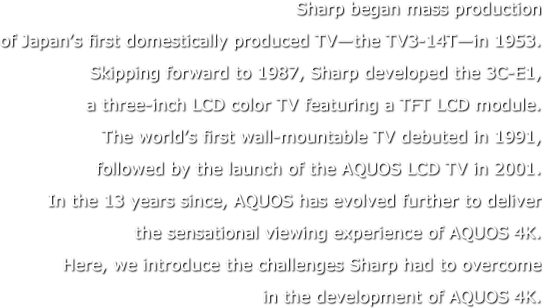 Since then, Sharp has harnessed NHK’s expertise in 8K broadcasting to further develop LCD TVs that support this next-generation format. Sharp brings expertise gathered from its development of 8K TVs to its AQUOS 4K models, in order to provide a sensational viewing experience that surpasses the imagination and goes beyond the limits of conventional AQUOS TVs. Going forward, Sharp will continue endeavoring to aim for higher quality that has never been seen before. *6 As of October 7, 2014, based on Sharp research. *7 As of May 19, 2011, based on Sharp research. *8 Direct-view 85-inch LCD compatible with 8K Super Hi-Vision broadcast.